Forming a S corporation begins with a C Corporation. After formation, S corporation form 2553 is filed with the Internal Revenue Service. Instead of being taxed at the corporate level, the income "passes through" to the individual shareholders. Any income or loss generated by the S corporation is reported on the individual tax returns of the shareholders. Making a subchapter S election by completing and filing federal Form 2553 with the IRS is a method of distributing the profits from the corporation to the shareholders without being taxed at the corporate level. Thus, the S corporation election is a popular choice for most small businesses. In this case the corporation cannot have more than 75 shareholders. There are restrictions regarding who may and may not own stock. Generally, non-resident aliens, trusts, other S corporations, C corporations (with few exceptions) may not own stock. Small business owners who want the continuity and liability protection of a corporation but wish to be taxed as a sole proprietorship or partnership. Individuals who benefit from the lower tax rate paid by corporations should not apply for S corporation status. S corporation status imposes limitations on ownership of company stock, such as foreign ownership. If you are concerned about these limitations, please contact a financial advisor or an attorney to discuss different options. If you plan to invest corporate profits back into the corporation and will only draw a nominal salary, you may still have tax liability on the balance of the dividends that you reinvested in the corporation. Electing S corporation status has tax liability implications. S status allows shareholders to apply company profits and losses to individual income tax returns. In order to elect S status, one must first incorporate as a general C corporation and then file IRS form 2553. If you have recently incorporated, your corporation may file for S status anytime during the tax year within 75 days of your incorporation date. Otherwise, this action must taken by March 15 if the corporation is a calendar year taxpayer, in order for the election to take effect for the current tax year. A corporation may later decide to elect S corporation status, but this decision would not take effect until the following year. The shareholders earn less than maximum amount subject to Social Security tax ($87,000 for 2003). The shareholders actively participate in the business. The corporation plans to distribute most of its annual profits to its shareholders. The rationale behind the above is that the corporation can pay the owner a reasonably small salary (which is subject to Social Security and Medicare tax). Then, the corporation can pay a relatively large distribution of profits (on the Schedule K-1 form - which is not subject to Social Security and Medicare tax). This may save the 15.3% Social Security/Medicare tax on a sizable chunk of income. Passive income is income generated by investment; i.e. stocks, bonds, equity-type investments, real estate, etc. Active income is generated by services rendered, products sold, etc. It is important to make sure that your S corporation's passive income does not exceed 25% of the corporation's gross receipts over a consecutive three year period; otherwise your corporation would be in danger of having its S status revoked by the IRS. A better choice if your business is expected to have substantial passive income may be an LLC. In order to qualify for S corporation status a few requisite measures must be met. The corporation must be formed as a general, for-profit C class corporation. Be sure that your corporation has only issued one class of stock. All the shareholders are U.S. Citizens or Permanent Residents. There can be no more than 75 shareholders. Your corporation's passive income level does not pass the 25% of gross receipts limit. If your corporation has a tax-year end date other than December 31, you must file for permission from the IRS. If your corporation has met all the above, you may file form 2553 with the IRS to elect S status. The limited liability company can be owned by, corporations, other LLC's, partnerships, trusts and non-US citizens, non-resident aliens. The S corporation, on the other hand, can only be owned by individual US citizens or permanent resident aliens. An LLC may offer different levels/classes of membership while an S corporation may only offer one class of stock. An LLC may have any number of members but an S corporation is limited to a maximum of 75 shareholders. When a shareholder of an S corporation is sued in a personal (not a business) lawsuit, the shares of stock are assets that may be seized. When a member of an LLC is sued in a personal (not a business) lawsuit, there are provisions to protect the membership from being taken from away from the individual. If one chooses to convert a C corporation into an S corporation the filing date is March 15. If you have recently incorporated; however, your corporation may file for S status anytime during the tax year within 75 days of your incorporation date. Please contact our helpful associates to discuss what will be required to help you to establish your C corporation in anticipation of electing S status in the future, or assisting your current C corporation elect S status right now. Due to different filing requirements for different types of corporations in different states this process can be complex. 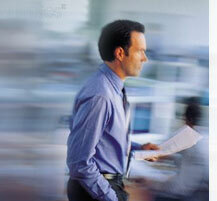 General Corporate Services is here to assist you and make the transition as quick and painless as possible.